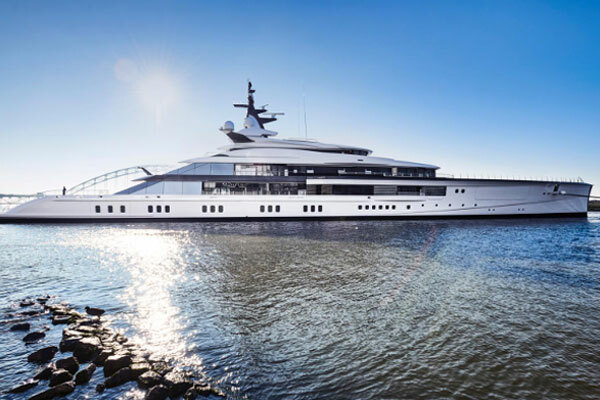 Netherlands-based Oceanco, a leading custom yacht builder, said it recently delivered the ground-breaking 109m/357 ft yacht “Project Bravo” to its owners. Bravo represents a new direction for Oceanco— the Life Design—which takes its acronym from the words “Lengthened, Innovative, Fuel efficient and Eco-friendly”, said a statement from the company. The yacht a single tiered engine room that allows for an optimised long and slender hull shape, resulting in a reduction in overall propulsion power demand. Furthermore, the hull form affords enhanced space for guest accommodations, it said. This unique vessel with naval architecture and engineering by Lateral, exterior design by Nuvolari Lenard and interior by Reymond Langton Design has been on fast track since she was launched on November 17, it added. The yacht recently completed successful sea trials in winter conditions— meeting, and exceeding performance expectations and predictions. Following her holiday delivery, Bravo is expected to return to Oceanco after the New Year for some final touches. “Coupled with its hybrid propulsion system, Bravo delivers exceptional performance and is configured to offer multiple operational modes, each matched to the variable operating profile of a yacht designed to adventure autonomously across the world’s oceans,” he added. Despite the extensive size of Bravo, Nuvolari Lenard created a stunning low profile with exquisite proportions reminiscent of a sport yacht rather than a superyacht. “This new style will certainly create a new design stream,” said Carlo Nuvolari, partner in Nuvolari Lenard. The sleek and sporty yacht also offers many special features, including a heli-landing platform, on both the foredeck and the aft deck, a large tender garage and dedicated equipment stowage, providing plenty of space for a large selection of water toys. It also has a large spa that includes a sauna, steam room, massage room, plunge pool and rain shower. Also, on the lower deck are a complete gym and a generous and luxurious beach club. The interior is a sophisticated elegant contemporary design that features light maple wood and white pearl lacquer with contrasting accents of walnut and ebony.